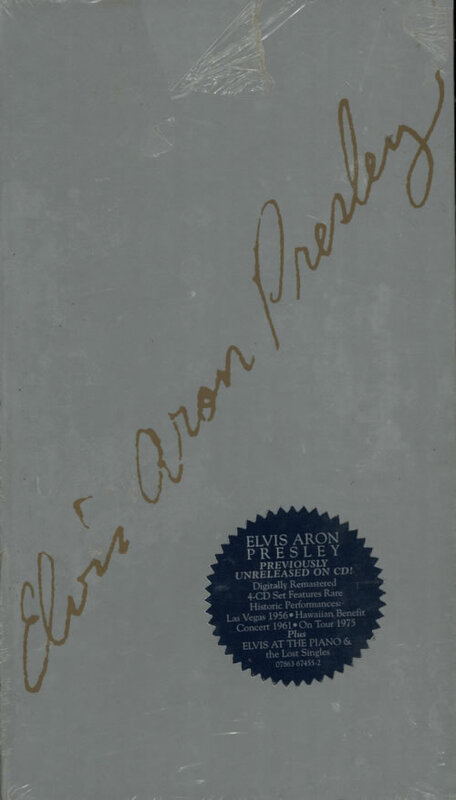 ELVIS PRESLEY Elvis Aron Presley (1998 US limited edition 25th Anniversary 88-track digitally remastered 4-CD set, featuring early live performances, concert footage, benefit performances and TV specials. Housed in a silver & gold hardback bookstyle picture sleeve with 36-page liner notes booklet. Despite a few light edge tears to the stickered shrink, this item remains unopened and unplayed! ).